More than ever, American companies, fueled by passionate consumers and active investors, are working to promote social good as part of their bottom lines. 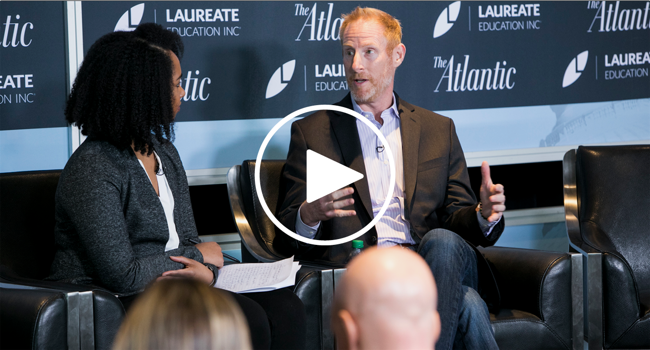 At The Atlantic's Social Impact Forum, we heard from public and private sector leaders encouraging corporate behavior for impact. At the Social Impact Forum we looked at the future of the social impact business model and asked how companies are working to make social impact part of their bottom line. To see photos from this event, please visit our Facebook page. Anna Walker, Senior Director, Global Policy and Advocacy, ‎Levi Strauss & Co.
**This session is produced by our underwriter Laureate Education, and not by The Atlantic's editorial team. At The Power of Purpose: The Corporate Responsibility Summit, The Atlantic will gather business executives, employees, community leaders and experts to analyze the impact, the potential and the downsides of corporations speaking out and taking action. *This speaker will participate in a session that is produced by Laureate Education, and not by The Atlantic's editorial team.